"Where is the options what I am looking for?" Are you looking for the more information? Check the tab ""Where is the options what I am looking for?""! This tool is created for the people who want to change the theme of page for their article. Do you want to use it? Let's go! Create the color which you want to use. 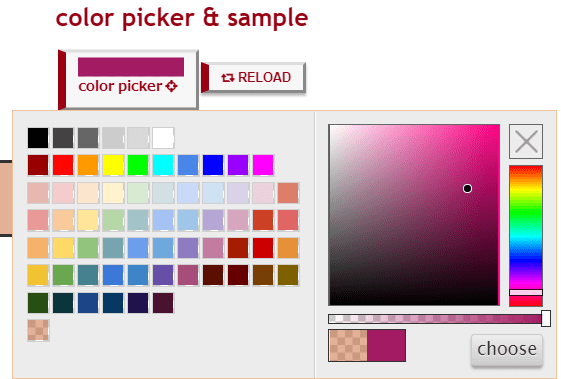 Change the site title from "SCP Foundation"
Change the site sub-title from "Secure, Contain, Protect"
The "color picker & sample" will prepare your original color. (1) "THIS IS MY COLOR!" Note: When not required the form of title, forms of "color" and "text-shadow" will not function. 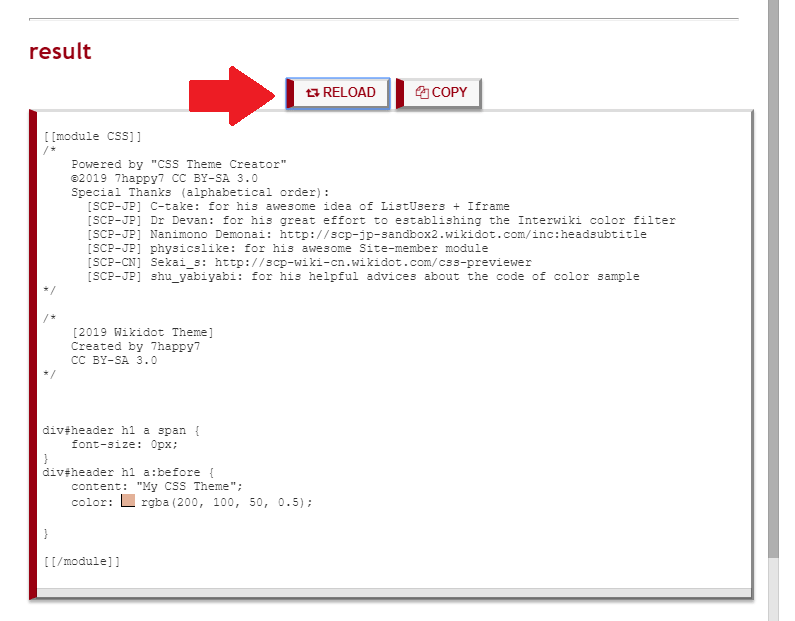 Note: You can choose "h1 only" or "All"(h1, h2, h3, h4, h5, h6). Note: "1." to "3." 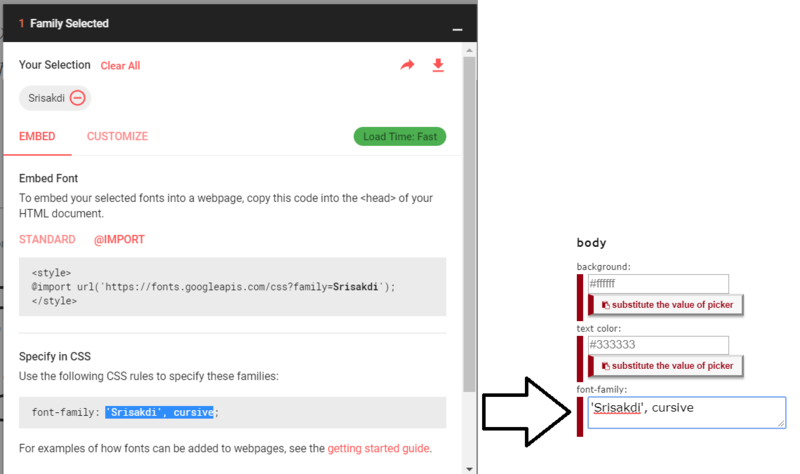 is disabled due to prohibited using Google Fonts in EN wiki. 3. 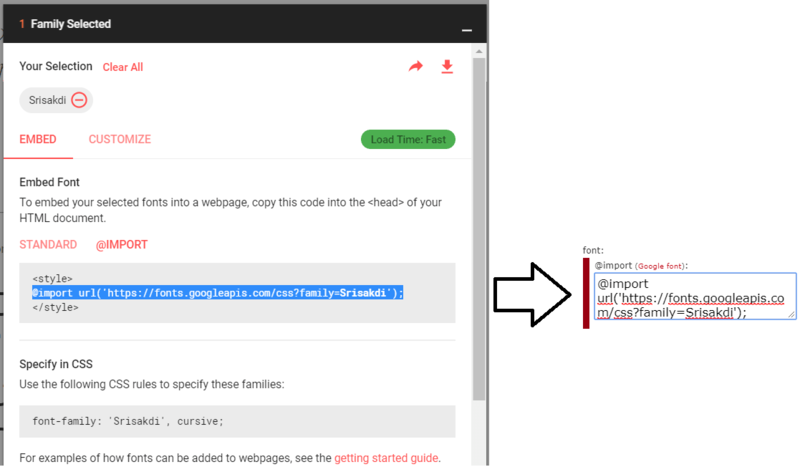 Copy "@import url('https://fonts.googleapis.com/css?family=XXXXX');" and paste it into "α". 4. 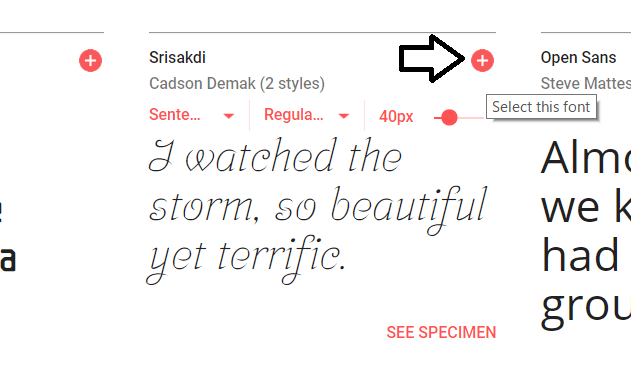 Copy "'<YOUR FONT>', <BASIC FONT KEYWORDS>1" and paste it into "β". Note: Please check "Change the font" (4.). 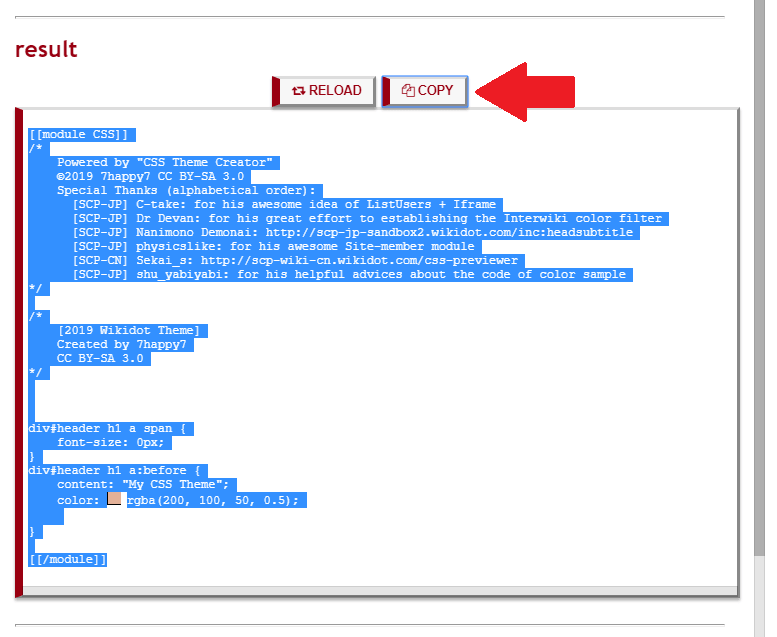 Note: Check the tab " tips4: Interwiki filter" if you want more information. <offset-x>, <offset-y>: Required. These length values specify the shadow's distance from the text. <offset-x> specifies the horizontal distance; a negative value places the shadow to the left of the text. <offset-y> specifies the vertical distance; a negative value places the shadow above the text. If both values are 0, the shadow is placed directly behind the text, although it may be partly visible due to the effect of <blur-radius>. <blur-radius>: Optional. This is a length value. The higher the value, the bigger the blur; the shadow becomes wider and lighter. If not specified, it defaults to 0. <color>: Optional. The color of the shadow. It can be specified either before or after the offset values. If unspecified, the color's value is left up to the user agent, so when consistency across browsers is desired you should define it explicitly. It's the same as "text-shadow" without a keyword of <inset>. 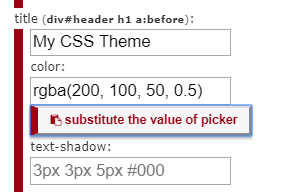 <inset>: If not specified (default), the shadow is assumed to be a drop shadow (as if the box were raised above the content). The presence of the inset keyword changes the shadow to one inside the frame (as if the content was depressed inside the box). Inset shadows are drawn inside the border (even transparent ones), above the background, but below content. <width>: Sets the thickness of the border. Defaults to medium if absent. 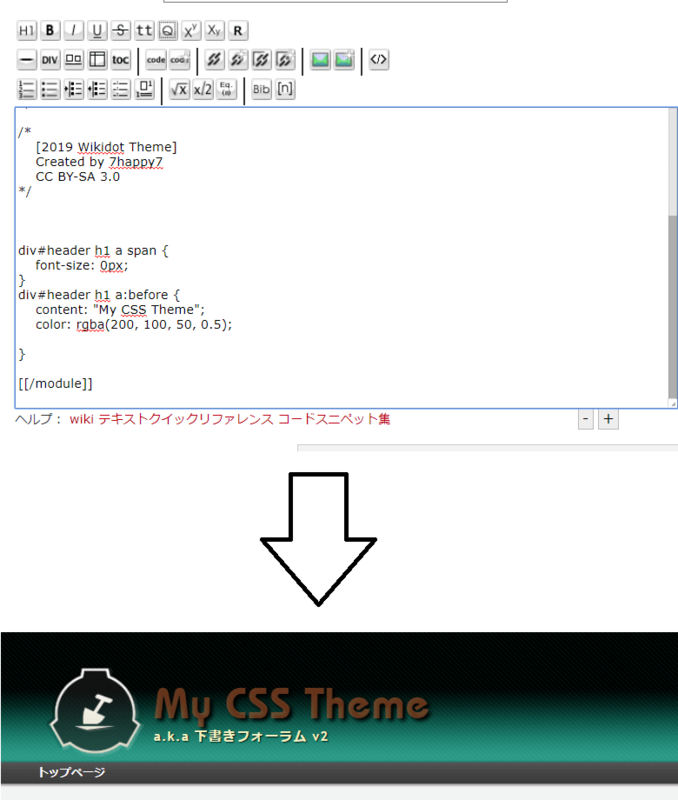 <style>: Sets the style of the border. Defaults to none if absent. <color>: Sets the color of the border. Defaults to currentcolor if absent. Note 1: You can calculate only rough values by using the above tool. Note 2: If the side-block color is not monotone(#ffffff, #DCDCDC, etc. ), this method will not function well like "Third Law Theme"(#E2E4E7).